Does your groom prefer to have a little bit of sparkle on his hand? Nothing too extravagant, just enough to catch the light and shimmer just the right way. Our 9mm Benchmark Argentium silver men’s ring with pave diamonds is a beautiful way to celebrate your commitment and add a bit of shine to your groom’s hand. Confidently debonair, this wedding band practically dares you to try and look away. 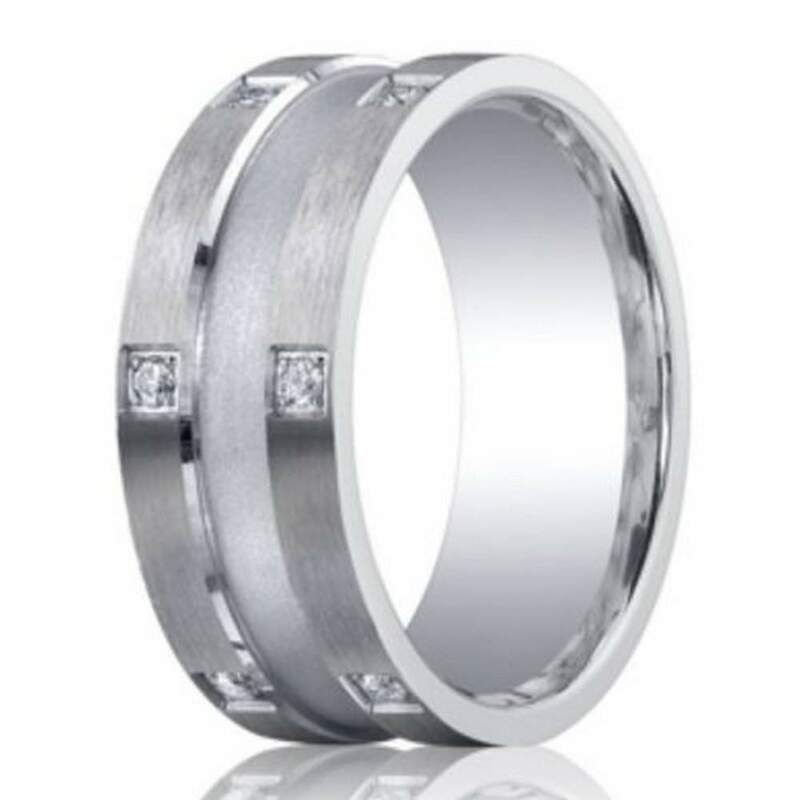 Outer satin finish bands are dotted with 12 pave set white diamonds and accentuated by a slightly darker center strip. A 9mm comfort fit paired with the attractive durability of Argentium silver adds to this ring’s urbane appeal. 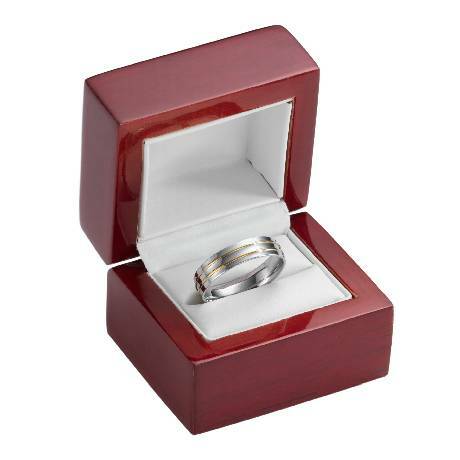 This is perfect for someone who doesn’t mind having people notice him, and his ring, perfect for a groom ready to start a new chapter in his life. Our 9mm Benchmark Argentium silver men’s ring with pave diamonds is an affordable choice for the couple who doesn’t want to sacrifice quality but wants to save where they can. Our ring is offered in a comfort fit band, which usually runs ½ size smaller due to the additional metal inside the ring. We recommend having your finger measured for a comfort fit ring at your local jeweler.